WILMINGTON, Del. (WPVI) -- Police in Wilmington, Delaware are hoping to identify a dirt bike driver who hit a child getting off a school bus. 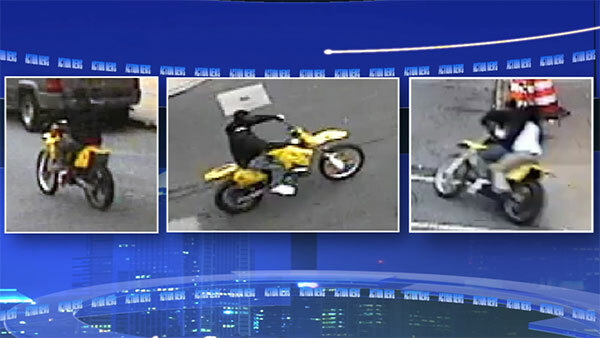 Surveillance images of the dirt bike and its rider were released on Friday. It happened May 24 on the 100 block of North Van Buren Street. Police say the biker passed a stopped school bus and struck the child, causing injury. If you have any information, you are urged to contact Wilmington Police or Delaware Crime Stoppers at 1-800-TIP-3333.